Your shoulder is a complicated joint that can move in multiple directions. Because of this, it performs in almost all of your typical daily activities, including reaching for food on shelves, brushing your teeth, and getting dressed. When shoulder surgery puts you out of the game for awhile, a fast recovery is essential for getting back to normal as soon as possible. Knowing what to expect, how long each step takes, and what you can do to accelerate the healing process will help you recover faster and with more confidence. When you have arthroscopic shoulder surgery, the recovery process is generally similar, but your personal timeline will depend on your injury, the type of surgery you have, and how healthy you were before the surgery. These rough time guidelines will help you understand what is coming. Immediately after surgery your doctor will advise you on wound care, pain management, and methods for controlling inflammation. This might include cold therapy to help reduce both pain and swelling. 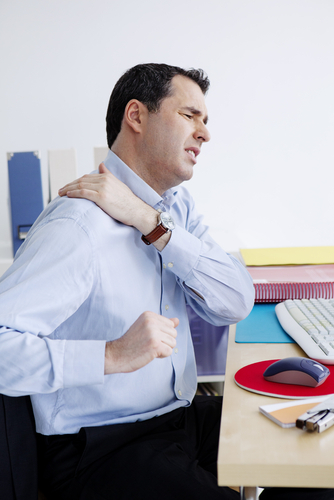 For about four weeks, you will need to stabilize your shoulder joint with the help of a sling. Be prepared with loose-fitting clothing that does not require you to move your arm when dressing. During this time it is also a good idea to get help from friends and family for activities such as cooking and driving. For the next six to eight weeks, you will work with a physical therapist to perform gentle, assisted exercises to help regain movement and range of motion in your shoulder. Because your damaged tissues are still actively healing, it is important not to try these exercises on your own as your shoulder joint needs to be supported during movement. When the internal healing process is complete, you can start to do more active exercises to continue to build strength and increase flexibility. This phase lasts for about three months. After you have regained normal strength and range of motion, for the next six months and up to two years, it is important to continue a regular exercise program to help prevent re-injury. As you start the shoulder surgery recovery process, consider using Game Ready to provide active cold and compression both right after surgery to control inflammation, and as you work through physical therapy. Using cryotherapy and active compression to limit swelling and remove edema will help your body heal faster and make the recovery process go more smoothly in general. Ask your physician about renting a system for home use, or look for a provider near you.